Before making a decision about your deadly conduct charge, it is important to consider all of your defense options. It may seem like you’ve been charged with a small offense that can be easily combated alone. But Texas takes deadly conduct very seriously – whether or not a weapon is involved. A plea bargain may also not be the best option for you. After all, this is your future you are thinking about. Depending on the case, a charge of deadly conduct could result in a Class A misdemeanor or a third-degree felony. An experienced Dallas County defense attorney can evaluate your case and show you which options – like negotiations, pretrial intervention, and going to trial – would be the most effective in your case. Remember, the prosecution must prove you are guilty of the deadly conduct charge beyond a reasonable doubt. There are several strategies available to you with the right defense attorney. 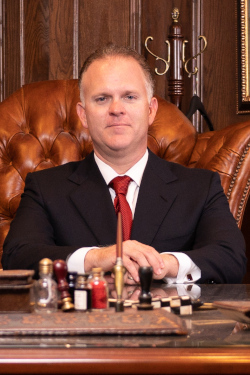 Contact the Law Offices of Richard C. McConathy if you have been charged with allegedly committing a violent crime in or around Dallas County. We represent clients in communities such as Irving, Richardson, and Decatur. With over two decades of experience, our legal team will fight for the best possible outcome in your case. The Law Offices of Richard C. McConathy has handled thousands of cases since 2002, and we’re equipped with the skills to fight for you. Call (972) 233-5700 today for your free consultation. The penalties for these offenses vary greatly depending on the involvement of weapons. An experienced criminal defense attorney could help navigate your case to a more appropriate or favorable outcome. These penalties do not include any social consequences involved with the stigma of a conviction or subsequent jail time. However, a deadly conduct charge doesn’t necessarily have to end in a conviction. Contact an experienced Dallas County deadly conduct lawyer to discuss the options available for your case. No serious bodily injury was threatened or actually inflicted. The victim provided consent for you to commit the alleged deadly conduct. The victim understood the conduct to be a risk of their occupation, a recognized medical treatment, or a legitimate scientific experiment. Gang members are specifically prohibited from claiming consent as a defense. If you committed deadly conduct as part of a gang initiation or regular gang activities, you will be barred from raising this defense in court. Deadly Conduct | Texas Penal Code – The Texas Legislature provides an online version of Texas’s statutes, including the law governing deadly conduct. Visit this link to read the definition of the law and the penalties for committing deadly conduct in Texas. Crime in Texas | Ken Anderson – Crime in Texas is a book that provides a complete overview of Texas criminal law. Visit this link to read a short description of the evolution of the deadly conduct statute to cover drive-by shootings. The state can charge you with deadly conduct for any action that could perceivably cause harm to another person present. The benefit to this kind of law is that there are as many defenses as possible charges. If you have been charged with a violent crime in Dallas County, Tarrant County, Denton County, Collin County, or the surrounding areas, protect your rights and your future. Trust your case to an experienced Dallas firm that is dedicated to fighting for the most favorable outcome. Call Law Offices of Richard C. McConathy today at (972) 233-5700 or complete our online form to schedule a free consultation. This article was last updated on Monday, January 28, 2019.